If you have never downloaded an app on your iphone before be reassured that it is a quick and easy three step process: you need to get an Apple ID, sign-in and download. Don’t have an apple ID? Then simply click here to create an Apple ID. Open the Settings App on your phone, then select ‘iTunes & App Store‘ and sign in with your new account details. Assuming you have now created an Apple ID and are signed in on your iPhone, simply click ‘Get CRICKLE for iPhone’ here. Once the Crickle app is downloaded, tap the icon and the game will start. Alternatively you may open the App Store and search for Crickle. In the App Store search results, next to the CRICKLE title, you will see a blue button. Click to install the app and the Crickle icon will appear on your home screen. You will be prompted to pay when you first open the app. 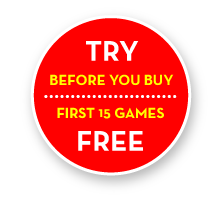 If you decide not to pay for the App at this stage you may enjoy 15 free plays first. Crickle only costs 99p. You will not be charged unless you agree to purchase. Downloading an app on an Android phone is a quick and easy three step process: you need to get a Google Account, sign-in and download. If you do not, then simply click here to create a Google Account. Sign in by opening the Settings App on your phone, then select ‘Accounts‘, then ‘Google’ and sign in with your new account details. Assuming you have created a Google Account and are signed in on your Android Phone, simply click the ‘Get CRICKLE for Android’ button. Alternatively you may open the Play Store app and search for Crickle. In the Play Store search results, next to the CRICKLE title, click the green button to install the app. The icon will be added to your home screen or apps folder. What if I cannot find the icon? It should appear among other icons on your home or front screens. If it does not, try looking in App Manager and in your download folder which is accessed by swiping the screen down from the top on many phones.